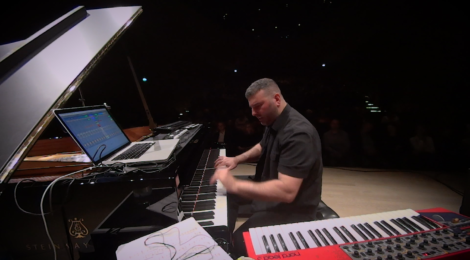 The opening piece of my concert at the Elbphilharmonie in Hamburg. Introitus combines elements of Baroque and Renaissance contrapuntal writing with a solitary Arabic melody. The Interlude is a meditation on a short electronic loop. Mercurial is a spritely dance in 7/8 rhythm, from my 2015 album “Between Carthage and Rome”. Recorded on December 7th, 2017. Many thanks to Rebellab for the video. The concert was presented by FKP Skorpio.